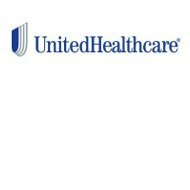 A review of United Health Insurance Company finds UnitedHealthcare Services, Inc., a division of UnitedHealthcare Group. UnitedHealthcare Group was founded in 1974 as Charter Med Incorporated by a group of healthcare providers dedicated to increasing healthcare options for patients. The company reorganized in 1977 as UnitedHealthcare. Search through health insurance rates from top insurance providers by simply entering your zip code into the box above. You can call and speak to a company representative by dialing toll-free: 1-800-328-5979. Golden Rule Insurance Company, a subsidiary of the company, underwrites UnitedHealthcare’s personal health insurance plans. These plans are intended for individuals and their families and have a variety of flexible options. The company’s High Deductible insurance plans lets policyholders pay lower premiums in exchange for them paying out of pocket for minor and routine medical expenses such as doctor visits. Also referred to as “catastrophic health insurance,” the policy choices offered under this plan give subscribers full coverage in the case of a catastrophic medical event. Once the calendar-year deductible is met, expenses are covered by the health insurance. Co-pay health insurance plans are more traditional, having policyholders pay a set fee for going to any in-network medical provider. After that amount is met, the insurance pays the remaining fees for exams, visits, etc. The co-pay plan also has a co-pay prescription plan, which varies depending upon the prescription prescribed. Tier 1 drugs have a $15 co-pay, while Tier 3 drugs have a higher $65 co-pay. There are deductibles and out-of-pocket maximums with the Co-pay health insurance plan. In addition to the High Deductible and Co-pay insurance plans, UnitedHealthcare offers flexible Health Savings Accounts financed with pre-tax dollars. Its Short-Term Medical policy offers coverage from one to eleven months, and is intended for people who are waiting for another policy to begin, students rotating off their parent’s policy, but not yet onto their own policy, those that are unemployed or between jobs, and early retirees. Student Coverage plans are only available through your school’s administrator, and offer protection year-round, whether you’re on campus or off it. This includes colleges, universities, prep schools, and even intercollegiate sports programs. The health insurance has vision, dental, and prescription coverage optional. If you’re looking for a job opportunity, UnitedHealthcare might just be the place for you. The company has a dedicated website that has everything you want to know about working for the company. If desired, you can search for jobs around the world, or even jobs that allow you to work from home for the company. In fact, the company states that 20% of its employees telecommute, and at the time of this writing, there were close to 400 telecommuting positions available. There is also adoption assistance and tuition reimbursement, and the company encourages its employees to volunteer and give back to their community. Additionally, UnitedHealthcare’s subsidiaries have received excellent financial strength ratings of “A,” as well as excellent issuer credit ratings of “a” from A.M. Best Company. A.M. Best also says that UnitedHealthcare’s future outlook is stable, which one should expect from a company that has combined assets of more than $66 billion. Type your zip code into the box on this page to get free health insurance quotes! I have had a terrible experience with united healthcare. They have given me the “runaround” for the past 2 months about paying my recent medical bills when it clearly states on my statement that my out of pocket maximum has been met. I contacted them again today–I requested to speak with a supervisor and was informed that she did not know who her supervisor is! How ridiculous and untruthful is that statement? I absolutely would NOT recommend united healthcare!